Last June, Uber was valued at $18.2 billion. Soon, it could be worth $70 billion -- nearly quadruple its value last summer. The company is looking to raise another $1 billion in funding, according to PrivCo, a data provider on privately-held companies. The new round will value the company between $60 billion and $70 billion. Uber is already the most valuable privately-held company in the world. It surpassed Chinese smartphone company Xiaomi earlier this year. As a reminder, a valuation is based on predictions about a company's potential -- so it doesn't mean Uber has $70 billion. It means investors think it's worth that much. If and when Uber closes the new round of financing, it will be the company's eighth round of funding since launching five years ago. If it's valued at $70 billion, that would make the five-year-old startup worth more than both Ford (F) and GM (GM). 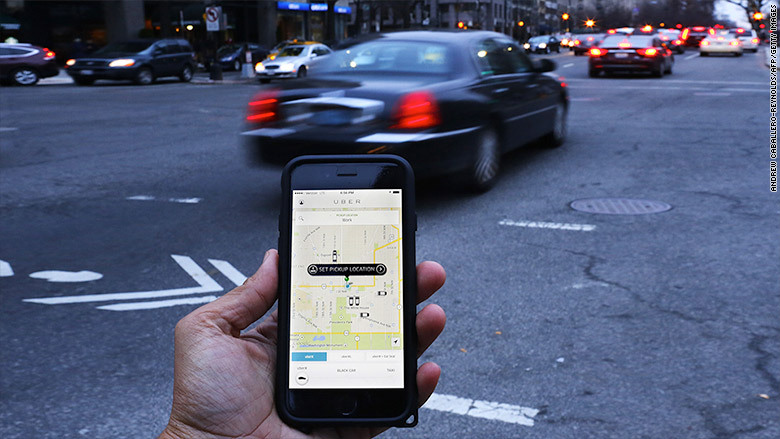 Uber operates in more than 300 cities in 63 countries. Last week, CEO Travis Kalanick said the company is still young -- so don't expect it to go public anytime soon. "Give us a few years," he said on stage at the Wall Street Journal's tech conference in Laguna Beach. "It's just a little early." According to PrivCo, the new round will go to maintaining Uber's lead over Lyft in the U.S. and battling the competition abroad. That includes Blablacar in Europe, Ola Cabs in India, and Didi Kuaidi -- which recently formed a partnership with Lyft -- in China. The news of Uber's fundraising and potential valuation was first reported by the New York Times.